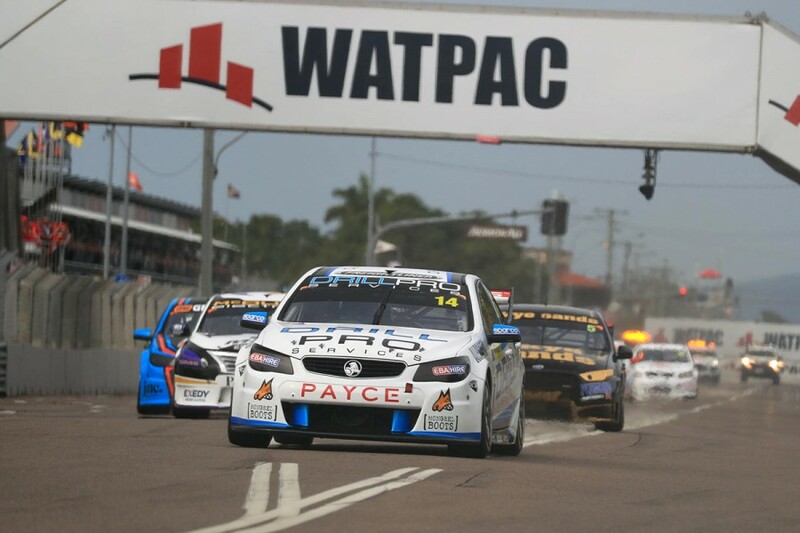 Garry Jacobson pounced on misfortune for Macauley Jones to score victory in the opening Dunlop Super2 Series race in Townsville. Jones, who started from pole position, led the first eight laps until his Brad Jones Racing VF Commodore broke its right-rear suspension. The polesitter was forced to return to the pits and patiently wait while his crew fixed the issue and were able to get him out several laps later. 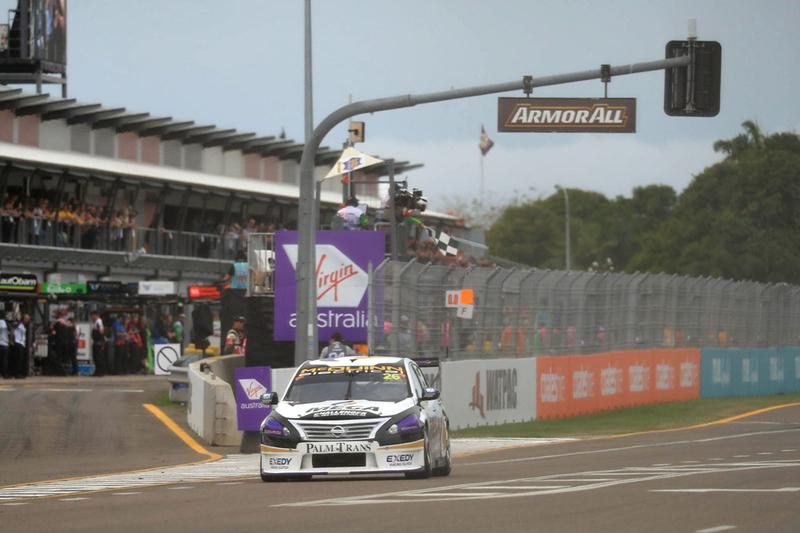 Series leader Paul Dumbrell took second, having started fourth on the grid and also getting the jump on Randle off the line. 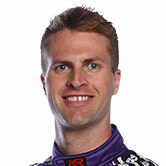 Alex Rullo was next up in the sister Altima to Jacobson, gaining two positions from where he started and moving past Randle during the tenth lap. Super2 rookie Randle eventually took fourth in the Skye Sands Ford Falcon. Shae Davies was fifth in the only other Ford Falcon, followed by Garry Rogers Motorsport's Chris Pither aboard a VF Commodore. Brodie Kostecki made his way from 11th on the grid to finish seventh, ahead of Dean Fiore in the third MWM Altima. The Holdens of Adam Marjoram and Kurt Kostecki rounded out the top 10, followed by Jake Kostecki in the third Acroplate Racing Commodore. Jack Smith recovered for 13th, after his SCT Logistics Commodore was pushed into the tyre wall at Turn 8 on the opening lap, falling to last. There was late drama for Brenton Grove, who was tagged by Dominic Storey on the final lap, sending the former’s Holden spinning into the concrete. ARMOR ALL Qualifying for Race 2 will take place tomorrow at 11:00am, followed by the second and final race of the weekend at 2:45pm Sunday.